At ConfiDental Clinic, Streatham, we provide high quality NHS and Private dentistry in a friendly, relaxed environment with a professional service. We are open 6 days a week and offer evening appointments therefore able to work around your busy schedule. 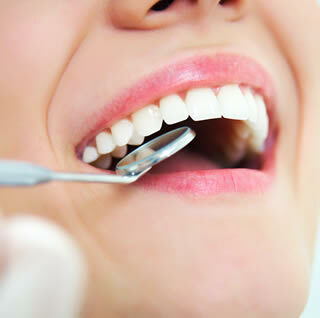 We offer a wide range of treatments from basic dental healthcare and prevention treatments for the whole family to restorative and cosmetic treatments including tooth whitening, dental bonding and veneers allowing you to smile with confidence. Should you require specialist dental treatments in periodontics (gum treatments) Endodontics (root canal treatment) or orthodontics, we are able to arrange prompt and convenient referrals at out other ConfiDental Clinic in Clapham Junction. We’ll listen and discuss your dental concerns and ensure you always leave ConfiDental Clinic Streatham with a smile on your face. At ConfiDental Clinic, Streatham, we are pleased to accept New Patients on both NHS and Private basis. We also provide Free Cosmetic Consultations should you wish to discuss achieving your perfect smile. Please feel free to contact us either by phone, e-mail or call in to see us should you want further advice or to book your appointment. At ConfiDental Clinic, Streatham, we adhere to our cancellation policy and request that as much notice as possible is given should an appointment need to be altered. Should you wish to cancel or reschedule your appointment, we ask that you please provide us with at least 24hours notice so that we may offer the appointment to other patients. Should you have any queries or concerns relating to our cancellation policy, you should contact our Practice Manager.